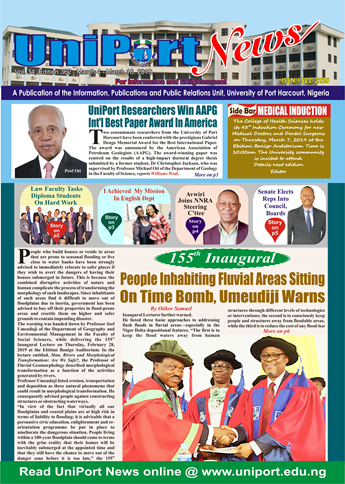 Uniport Weekly is the University's official news bulletin. The eight-page bulletin, which appears in print and on the web, includes news and feature stories about University of Port Harcourt faculty, staff and students as well as highlights of selected upcoming events on campus. 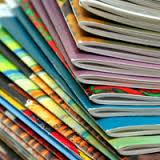 The bulletin is published weekly by the Information and Public Relations unit of the University. Vol 32, No 313 Febuary 13-Febuary 20,2017. Vol 32, No 311 January 30- Febuary 6,2017. Vol. 14 No. 9 July 8 - 15, 2013. Vol. 14 No. 8 July 1 - 8, 2013.